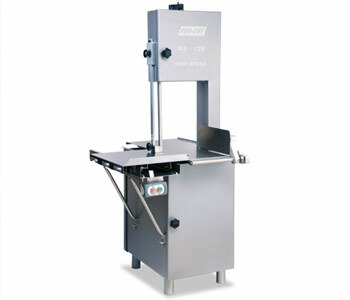 Improve your productivity with our High Speed meat band saw. At 32m/s and using a thin blade you will be able to decrease your meat waste on up to 27% compared to a regular saw. Producing all kind of cuts will be no problem since this meat band saw will go through them like butter. We have produced the safest possible machine for your employees. 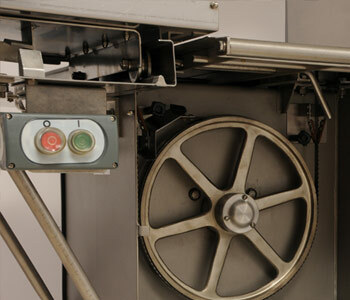 Several thermomagnetic points will shut down the machine if any doors open by mistake during operation. 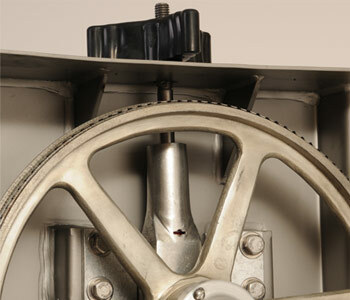 Its optional brake system will totally shut down any motion at once. On top of everything else, at the end of your work day, you will be able to wash your unit with a water hose in a couple minutes. Its bearings are sealed so your saw will be rust free for years to come.